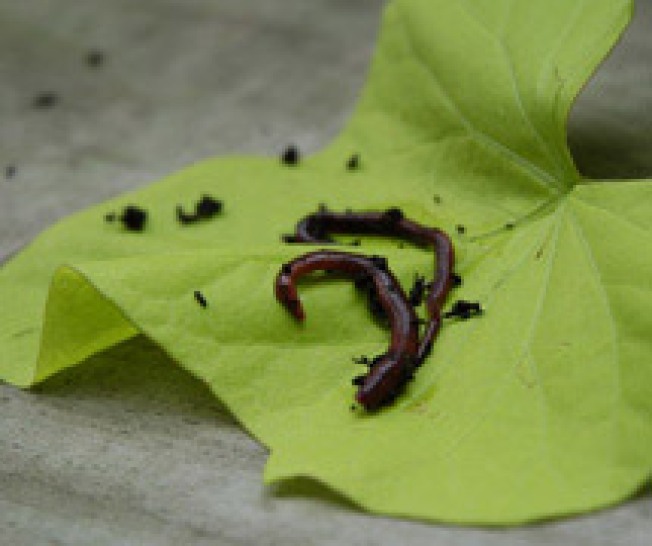 The Urban Worm Girl recommends red wigglers for the most efficient worm composting. We're all looking for creative ways to be green. Stephanie Davies, a.k.a. the "Urban Worm Girl," has a few eco-friendly tricks up her (organic) sleeve, and she's more than willing to share her philosophies. You see, Davies practices vermiculture, the practice of cutting down on household waste by composting with worms. We're sure you have questions. Davies was introduced to vermiculture through a friend, who maintained a neat, odor-free and some may even say elegant worm composting bin in her California home. Transforming into the Urban Worm Girl, Davies brought the idea back to Chicago, where she educates the public on the benefits of the earth-friendly practice. She also sells all of the gear you need to start your own worm composting system right in your home or apartment and will even help you host a Worm Party. Speaking of which, Davies is one busy worm composter-on-the-town. She'll be hosting a "Wine and Worms" party at A Cooler Planet, an eco-friendly home accessories boutique in Roscoe Village on Thursday, March 26. Neighboring shop Lush Wine and Spirits will provide organic and biodynamic wines for the occasion, which starts at 7PM and is free to attend. And, of course, Davies will be giving a vermiculture demonstration for curious onlookers. Then, on Saturday, March 28, the Urban Worm Girl will bring her wigglers to Green Genes in Andersonville for the store's first anniversary. Davies will show visitors how to set up a worm composting bin while they also shop for environmentally aware gifts, toys and clothing at this welcoming neighborhood boutique.